Description: 602LAN SUITE Content Filter is an easy-to-install and manage proxy server with integrated content filter. The proxy server includes access control by user name / host / IP address and 22 categories of dynamic web content filtering of objectionable and inappropriate web content. This complete filtering solution also includes an integrated firewall and NAT. No annual updates or subscription fees are required. Description: Active Wall Free Edition is the professional and free gateway filtering software. The main functions are url wildcard filter, web content filter, post keyword filter, upload file wildcard filter, traffic monitor. It installed in gateway server and provides continuous enterprise-wide protection against the full range of Internet threats, from viruses and phishing attacks to inappropriate use of system resources to regulatory non-compliance. Description: The Internet has made kids' homework more exciting while making each business day one of new opportunity for business. But with this freedom comes distractions and other temptations. With AllegroSurf, you can take control of the Internet experience by sharing your Internet connection with advanced, real-time monitoring and statistics while filtering out the unwanted material. Protect your family, your business, and yourself with AllegroSurf. Description: BMF is tool for network administrators who needs to have control over traffic shaping and network security. It is able to operate on more than Gbit/s data flows providing bandwidth management features like limiting, data quotas. Supported protocols: Ethernet,IPv4,IPv6,UDP,TCP,ICMP,ICMPv6,DNS,Passive FTP,HTTP,SSL,P2P. Product contains State firewall, DoS protection, NAT with multiple public IP addresses, captive portal, DHCP server. Description: CacheGuard provides a firewall, an antivirus, a forwarding and reverse proxy cache, a web traffic compressor, a URL guarding facility, a Web application load balancer, a WAF (Web Application Firewall), a traffic shaper, a traffic logger and much more. 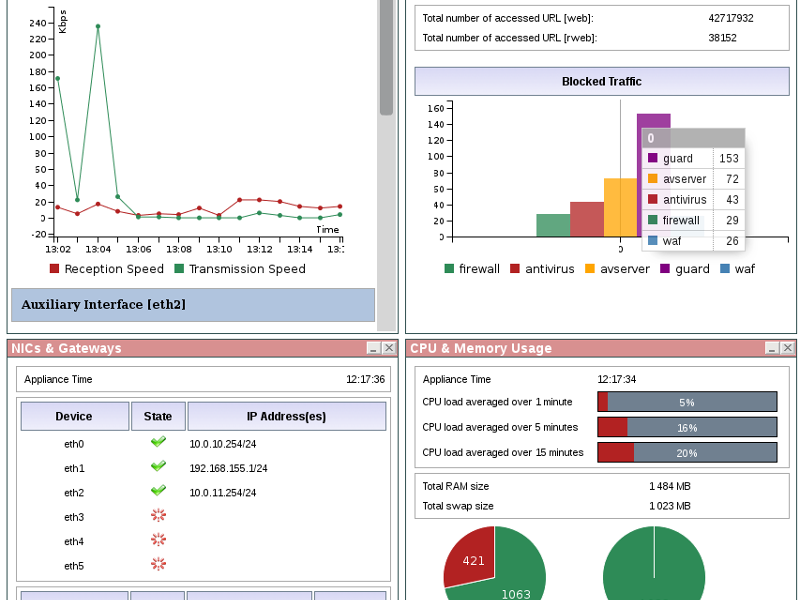 Integrating CacheGuard into your networks is completely transparent for end users and Web applications. Description: Quiet navigation, with the safety of a powerful firewall, using only one account with your ISP for all the users on the LAN. Redundant connections in order to obviate to possible inefficiencies of the ISP without stopping working. 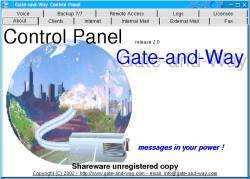 Other Gate-and-Way's modules: Mail, Fax, Backup, Voice, RAS. All them integrated and centrally managed. Description: Single solution of the whole set of issues small business network faces when using Internet. Having Internet security as primary focus, ICS CUBE is Unified Threat Management PLUS internet access control and accountability, content filtering, corporate firewall, internet gateway, mail, web, proxy server, antivirus, file storage and more. Graphical user interface of ICS CUBE provides single point of control over your network and services. Description: IP Hider Pro is a professional software used to hide your IP address so that you can hide your internet traffic and the real location while surfing the web.The best IP Changer software makes nobody know what you do on the internet. IP Hider Pro provides government-level safety factor, so you are assured of freedom anywhere on the web without worrying about any of the information leaked.